Welcome to the Los Angeles Pink Dragons! 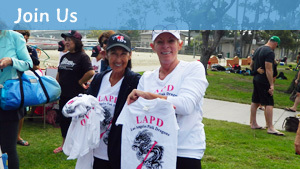 The Los Angeles Pink Dragons (LA Pinks) are California’s first breast cancer survivor dragon boat racing team. The team is dedicated to improving fitness and quality of life for breast cancer survivors. Through dragon boat racing, we demonstrate that women with breast cancer can lead active lives that are full of possibilities. By taking part in this challenging, yet gratifying sport, we each strive to achieve our personal best in hopes of empowering and inspiring others who have been through this journey. Breast cancer brought us together as a community of sisters who have shared a life-changing experience, and the dragon boat is our vessel to celebrate our survivorship and strength. We come together to paddle and to race, but also for the friendship, support, and camaraderie we share with our teammates. We are proud to be affiliated with these fine organizations. The Los Angeles Pink Dragons is a division of the Los Angeles Racing Dragons Foundation, a public 501(c)(3) charity. We are honored and grateful for the wisdom, guidance, and resources made available to us through our parent team. Go LARD! As members of the Southern California Dragon Boat Club, our dragon boats and essential equipment are made available to the team and beautifully maintained year-round at Mother’s Beach in Long Beach. The ICEA provides the opportunity for the LA Pink Dragons to train and participate in world-class dragon boat racing. Founder and mentor, Dr. Howard Chen and his staff work tirelessly to provide and maintain our boats and to organize competitions. The annual Long Beach Dragon Boat Festival is a must-attend event on the SoCal summer fun schedule, attracting teams from as far afield as China. 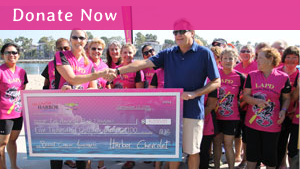 The Los Angeles Pink Dragons are proud to be members of the International Breast Cancer Paddlers Commission. The IBCPC’s mandate is to encourage the establishment of breast cancer dragon boat teams, within the framework of participation and inclusiveness. The Commission supports the development of recreational dragon boat paddling as a contribution to a healthy lifestyle for those diagnosed with breast cancer.